The legal and financial experts at Trident Debt Solutions can help consumers to come up with a rapid debt settlement plan to get them out from under these obligations in as little as eighteen months. It’s not exactly a “bailout” – the client will have to repay part of the obligation – but in most cases, this can be for as little as half the amount actually owed. Raising a lump sum or contributing at least 2% of the balance over a 24-month period can achieve rapid debt settlement in these circumstances. The reason that creditors are willing to negotiate in these matters is because they understand that if the debtor declares bankruptcy, they will wind up with nothing. They are usually willing to accept a reduced amount rather than get nothing at all. 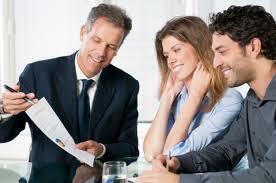 Trident Debt Solutions works on your behalf to negotiate the most rapid debt settlement plan possible. It is not completely free of consequences; this will affect your credit score, but it is better than declaring bankruptcy – which remains on your credit report for ten years. To learn more about rapid debt settlement and how it can assist you in getting out from under your unsecured debts sooner than you thought possible, call Trident Debt Solutions at 303-872-8492 for a free, no-obligation initial consultation. We work with individuals and small business owners. Trident Debt Solutions is proud to be one of the select few BBB approved debt settlement companies in the nation.